R A M P A G E ! I sorta leaked it in another post but figured I should make it official. I’ve just been lazy. 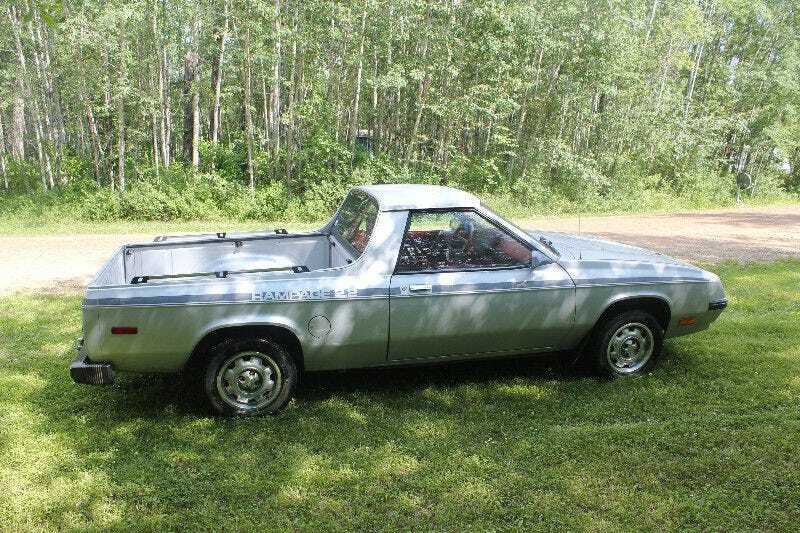 I bought me a 1984 (one year younger than me) Dodge Rampage 2.2!!!! Not the ideal exterior colour but I think that’ll change next year. Not too many pics yet but here’s a few. Sorry for the quality. The tree’d pics are all from the sellers ad, very potato taken are they. Drives great! Even in gravel! Even with a dirt bike in the back! Cruised the highways at 110-120km/h no problem. Great mileage, decent pep, not so much on the torque... it’s only a 2.2. Which they hilariously advertise EVERYWHERE on this truck. Sidenote: The AMC Eagle is still in progress. I have not abandoned it. It’s been a busy summer.